A thunderstorm rolled through Philadelphia on Tuesday night, bringing brilliant lightning flashes and roaring thunder. But one prolonged boom particularly resounded throughout Center City. The blast, which occurred around 9:40 p.m., reverberated throughout the high rises and set off car alarms. Naturally, it shook the Twitterverse, too. Some people claimed it was the loudest thunder they ever recalled hearing. Either the British are bombarding Philly with cannon balls from the Delaware River or that was the loudest thunder I’ve heard in a while. The thunder that just struck shook the place and set off car alarms outside. That was one extraordinary burst of thunder......anyone else around Philly see that??! 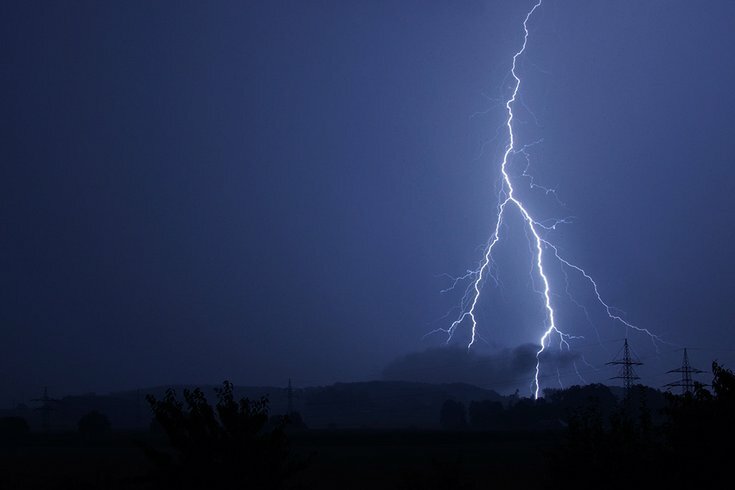 A typical thunder boom reaches about 120 decibels, according to the National Lightning Safety Institute. That's 10 times louder than a garbage truck or jackhammer drill.